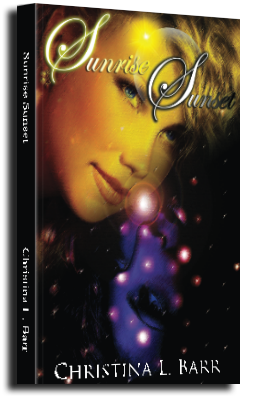 At sunrise, Roxy is a vibrant high school student with loving parents and a devoted boyfriend, Adam. At sunset, Lyla emerges with a taste for destruction and the lips of Roxy’s delectable beloved. When Adam is tricked into releasing Lyla from confinement, the three of them set off on a journey/kidnapping that brings them head on in a battle of inexplicable good vs wickedly evil. Roxy fights to bring out the goodness in humanity, Lyla fight to free humanity from their inhibitions, while Adam is in a constant battle to keep his soul intact and his mysterious past hidden. But they will all have to answer one very important question: is paradise worth the price of your own soul? Roxy's life forever changes when the atrocities of mankind force her to explore the darker nature of her powers. With guidance from a mysterious and handsome young Avarian named Silver, she finally begins to take control of her body. Lyla's life drastically changes as she struggles through her bothersome affection for Adam, and he isn't too thrilled about Fate shackling them together either. He has no choice but to rely on Lyla to save him from a dangerous new ability, and to uncover the secret agenda of Roxy's self-proclaimed "Chosen". Extreme measures are taken. Betrayals are made. New alliances are forged. The deeper they dig into Roxy's past, the more they question whether she was meant to be a conqueror instead of the savior.